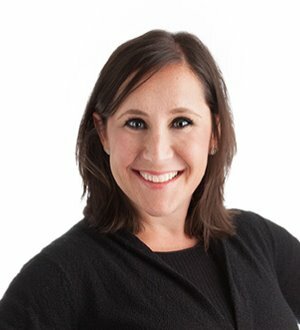 Johanna Zelman’s unique background in health and mental care and in school law results in highly competent, in-depth and knowledgeable advice and representation for her clients. While she has represented a wide variety of private and public sector employers from various industries, Johanna has a specific strength and hands-on experience in the health and mental health fields. Prior to her legal career, she worked for Harvard University’s affiliate hospitals, where she had direct contact with patients being treated for mental health disorders; she also managed large federally and privately funded grants. In addition, she worked at the Center for Children’s Advocacy in Hartford, Connecticut and the University of Connecticut Health Center Department of Community Medicine. Her passion for health care is extremely helpful when handling issues involving the Americans with Disabilities Act (ADA), Family Medical Leave Act (FMLA) and other behavioral or mental health issues arising in the employment setting. Johanna is also very experienced in school law, representing public and private schools and colleges against claims involving both teachers and students. Johanna is highly effective in defending fact-intensive and highly complicated counseling and litigation matters related to employment, general civil rights and Special Education. Johanna has successfully defended public and private sector employers and governments before the United States Court of Appeals for the Second Circuit, the United States District Court for the District of Connecticut and the Connecticut Supreme, Appellate and Superior Courts. Additionally, she has represented employers and school districts before various state and federal administrative agencies, including the Equal Employment Opportunities Commission, the Connecticut Commission on Human Rights and Opportunities, the Connecticut State Department of Education the Connecticut Freedom of Information Commission, the Connecticut Workers’ Compensation Commission and the Department of Labor.